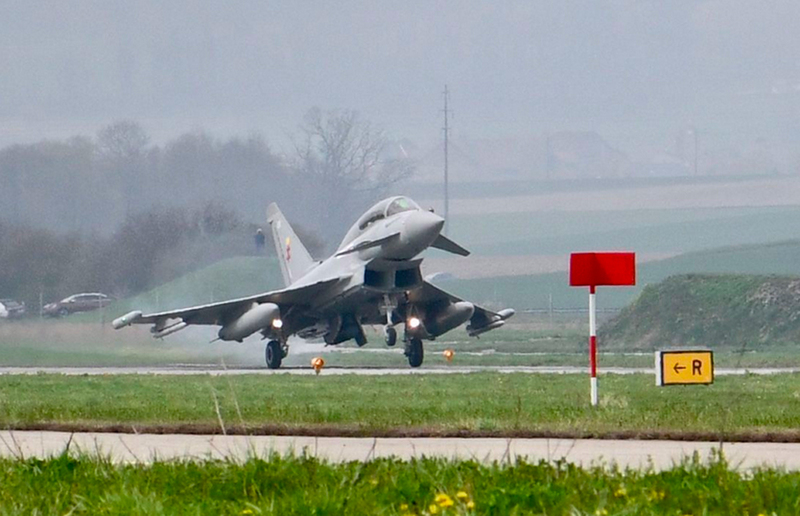 On April 11, a two-seat Eurofighter Typhoon lifted off from Payerne air base in Switzerland as the country’s armasuisse defense procurement agency starts a new round of evaluation flights of the five contenders for the country’s Neues Kampfflugzeug (NKF, new fighter) requirement. NKF is part of the wider Air 2030 program to upgrade Switzerland’s air defense capability, and also includes procurement of new ground-based defenses under the Bodluv requirement. NKF is intended to replace the Swiss air force’s Northrop F-5E/F Tiger IIs and Boeing F/A-18C/D Hornets. In a previous competition the Saab Gripen E was selected to replace the F-5, but the Swiss public rejected the purchase of a new fighter in a referendum in 2014. Since then the need for a new fighter has grown more acute as the existing force ages. The renewed effort has drawn bids from Airbus (Eurofighter Typhoon), Boeing (F/A-18E/F Super Hornet), Dassault (Rafale), Lockheed Martin (F-35A), and Saab (Gripen E). Although armasuisse personnel have been undertaking evaluations of the proposals at the OEMs’ own facilities, including the use of simulators, an important element is the evaluation of each aircraft in Switzerland. Each competitor is being evaluated in eight planned sorties, including one at night, over a two-week period. The mission scenarios and parameters will be the same for each competitor.